Mr. Tobias focuses his practice in the areas of general admiralty and maritime law, immigration and nationality law, and products liability. Over the course of his 40-year legal career, Mr. Tobias has participated in litigation in virtually every state, handling products liability matters and representing a wide range of individual and commercial clients in cases involving maritime, trucking and immigration issues. 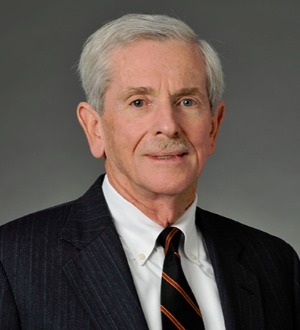 Mr. Tobias, who served on the Governor's Advisory Committee for the Port of Baltimore, has represented virtually every shipowner whose vessels call at the Port, as well as utilities, marine suppliers, and domestic towing and dredging companies. His representations include matters related to collision, personal injury, charter party disputes, pollution claims, cargo damage, dock damage, immigration, legislation and waterfront development. In addition, he has represented products manufacturers in bodily injury, property damage and class action matters. His immigration practice includes the representation of United States employers of foreign workers; professionals and foreign investors in the United States; and individuals seeking permanent residence and American citizenship. He is experienced in representing clients in all of the CIS (INS) regions, as well as before the Administrative Appeals Unit and Board of Immigration Appeals in Washington. Mr. Tobias is one of the nation’s most prominent admiralty lawyers. He has been listed since 2005 in The Best Lawyers in America® and is among those listed in the 2009 edition of The International Who's Who of Shipping and Maritime Lawyers.